There are several areas where the eTrex 20x really shines. 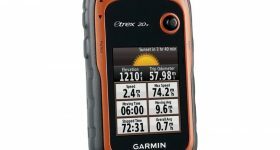 For one, it is a very lightweight and easy to use device, which means that it is one of the top favorite handheld GPS units of hunters and other outdoor aficionados. Besides, it comes with a microSD card slot with the assistance of which you can upload extra maps. It includes a preloaded basemap, too. On top of everything, it’s worth noting that this device comes with a color backlit display, so you’ll see where you’re going both at night and when the sun is shining up in the sky. The display of a navigator is one of its most important features. It has to be backlit and reliable, and the battery should provide it with enough power for you to be able to discern the information shown on the screen. Fortunately, you won’t encounter any difficulties if you decide to go for this product since it comes with a 65K color display that’s backlit, and as such, sunlight-readable. The 240×320 pixel resolution could also be something to write home about since it’s better than that of similar units, and so it will ensure a better user experience overall. The screen measures 2.2 inches, so it might be slightly smaller when compared to that of other Garmin devices. Nevertheless, due to its backlit capability, it is highly usable. Besides, it had to be somewhat small in order for the device to be truly handheld. Keep in mind that if you have eyesight issues, this product might not be for you. Another aspect that seems to make this device stand out from the crowd is that it is equipped with an internal memory of 3.7 gigabytes. As if that weren’t enough – and let’s face it, when you intend to travel abroad, for example, it might not be – you can load extra maps, be they free or not by using the microSD card slot that this product is outfitted with. Anything from TOPO 24K and BlueChart g2 to City Navigator NT and HuntView can be at your fingertips. Thanks to the BaseCamp software that you’ll have access to if you decide to go for this product, you will be able to organize pretty much everything about your trip. If you want to use the eTrex 20x when you go with your family on vacation, for instance, not just for your hunting adventures, you can conveniently do so. The software lets you set waypoints, customize routes, tracks, and organize your maps as best as possible. Furthermore, thanks to this software, you can let your friends know where you are located so that they feel at ease that you are all right and that nothing bad has happened to you. Get the most out of this device by using geocaching GPX files for downloading details and geocaches right to your navigator. In this way, you can find out information about the terrain, its difficulty, your location, as well as hints that can assist you if you haven’t hunted in that area before. One of the biggest problems of most navigators is that they are virtually incapable of keeping your fix once they’ve located you on the map. Obviously, this can be a pretty big nuisance and can make the entire operation difficult. Based on the information that we have found about this particular product, it certainly seems that this won’t be an issue you’ll be confronted with when using it. How come? The answer to this question stands in its high-sensitivity WAAS-enabled GPS receiver complete with HotFix satellite prediction. Thanks to these two, the eTrex 20x is capable of locating your position in a precise and timely fashion, and even more, it’s able to maintain your location whether you’re inside a deep canyon or heavy cover. If you need a navigator that should serve you for several days, you might have to bring along an additional power source with you. The average estimated battery life of this device is around 25 hours, so we would advise using it only when you need it if you aren’t going on a day hunting trip. However, if you take a power bank with you, there shouldn’t be anything stopping you from using it for two or more days. 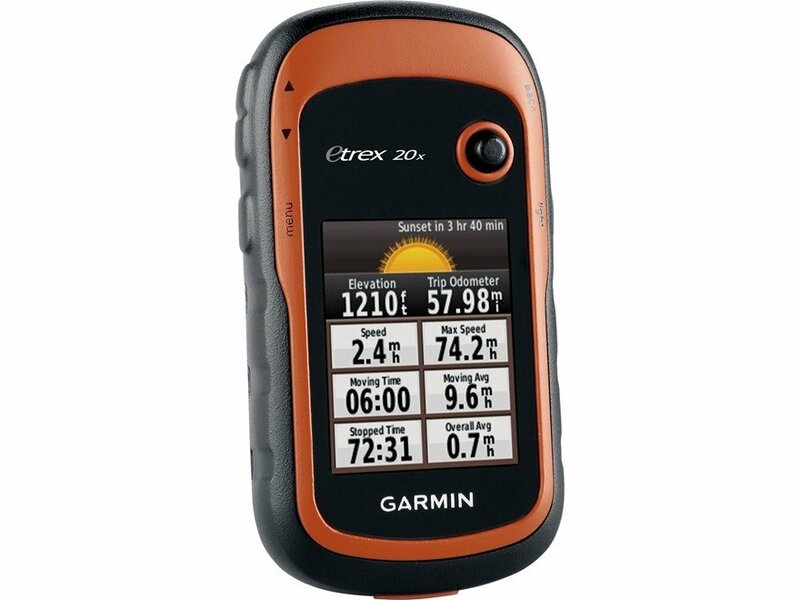 Although this product is considered a low-cost GPS, it actually offers a good user experience. You might have to read the manual and look at several online videos about it before you go on your hunting trip, just to be on the safe side of things.